Republican presidential front-runner Donald Trump is set to find out whether his brash demeanor will plague him in another Western state with a culture rooted in the Mormon faith that places a high value on manners and amiability. SALT LAKE CITY — Republican presidential front-runner Donald Trump is set to find out whether his brash demeanor will plague him in another Western state with a culture rooted in the Mormon faith that places a high value on manners and amiability. The billionaire businessman lost to Texas Sen. Ted Cruz in Mormon-heavy Idaho this month, and indications are he may be headed for trouble in Utah where the religion predominates and where Trump-basher Mitt Romney is revered. 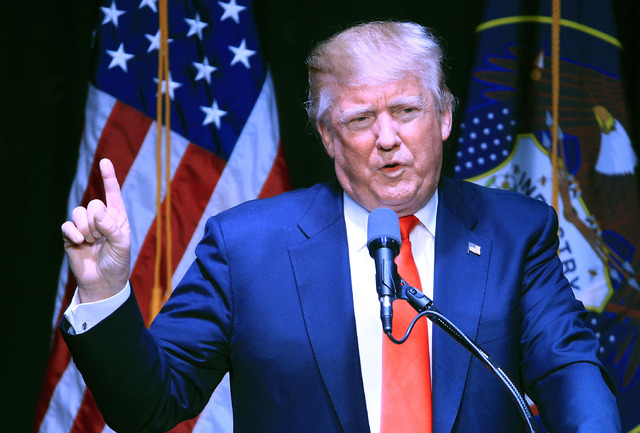 Trump’s hardline stance on immigration also doesn’t play well in the state — punctuated by his calls for a U.S.-Mexico border wall and past comments he made calling Mexican immigrants rapists, Utah State University political scientist Damon Cann said. 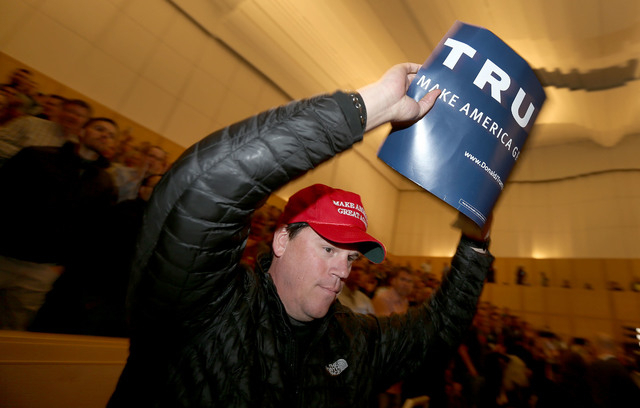 Thousands of Utah Mormons have served proselytizing missions around the world, making them more sensitive to Trump’s hardline stances than other Republicans, Cann said. In Utah, Mormons account for as many as two-thirds of the state’s 3 million residents, a larger proportion than any other state. The Church of Jesus Christ of Latter-day Saints, with headquarters in Salt Lake City, doesn’t endorse political candidates. But, after Trump suggested a total ban on Muslims entering the United States, the church issued a statement in support of religious freedom. Limited polling shows Trump running second to Cruz, but ahead of Ohio Gov. John Kasich, said Jason Perry, director of the Hinckley Institute of Politics at the University of Utah. The delegates will be distributed according to percentage of votes — unless a candidate gets more than 50 percent, which would give that person all 40 delegates. None of the candidates had made public campaign appearances in the state prior to this weekend. Election observers believe Cruz is best-positioned to inherit voters who were leaning toward Florida Sen. Marco Rubio before he dropped out of the race, Perry said. Cruz also has the key endorsement of Sen. Mike Lee, who is scheduled to appear alongside Cruz at a pair of rallies Saturday. The Cruz campaign is running a TV ad with Lee urging people to unite behind Cruz, who would stand up to an overbearing federal government and protect religious liberty. Kasich is hoping to appeal to moderate Republicans in the state but he’s largely unknown and would have to “catch fire” to leap frog Trump and Cruz, Perry said. Trump is still expected to rake in enough votes to clear the 15-percent threshold to get a share of the delegates, Cann said. In his first campaign stop in Utah, Trump hosted a rally Friday night in Salt Lake City, where he called the Mormons “amazing people.” Trump had critical words for Romney, the 2012 GOP nominee: “Are you sure he’s a Mormon? Are we sure?” he jokingly asked the crowd. Trump campaign spokeswoman Hope Hicks declined to discuss the campaign’s strategy but pointed out that they have devoted very few resources to Utah. “I wouldn’t say this a place where we are expected to perform exceptionally well,” Hicks said. Don Peay, leader of a volunteer group called Utahns for Trump, said Trump’s stance on making national defense a priority and his experience creating jobs will win over Utah voters who aren’t nearly as bothered his boldness as pundits think. Utah state Sen. Ralph Okerlund came around to Trump by looking past his antics and realizing he agreed with Trump’s policies that include granting states more power and scaling back federal government overreach. Romney doesn’t share Okerlund’s opinion, and did his best during a nationally-broadcast speech this month to scare voters away from Trump. Romney, who campaigned in Ohio for Kasich to blunt Trump’s bid for delegates, called Trump unfit for office and a danger for the nation and the GOP. Romney’s comments may hold sway in Utah, where he’s widely revered for being the most high profile member of the Mormon faith in America and for his work in turning around Salt Lake City’s 2002 Winter Olympics after a bribery scandal. He was the Republican nominee for president in 2012 and carried Utah with 73 percent of the vote in the general election. Trump didn’t endear himself to the Beehive state by refusing to participate in a debate scheduled for Monday in Salt Lake City that was scrapped after Kasich said he wouldn’t go on stage unless Trump was there. It would have been the state’s first presidential debate, and residents were excited for the opportunity to take a rare spot on center stage of a presidential election trail. Lt. Gov. Spencer Cox, who had endorsed Sen. Marco Rubio, bashed Trump for making a selfish decision to skip the debate and urged Utah residents not to forget when they vote.